Hank draws on 50 years of government, teaching, and practice experience to advise clients on negotiating the federal tax legislative and regulatory process. 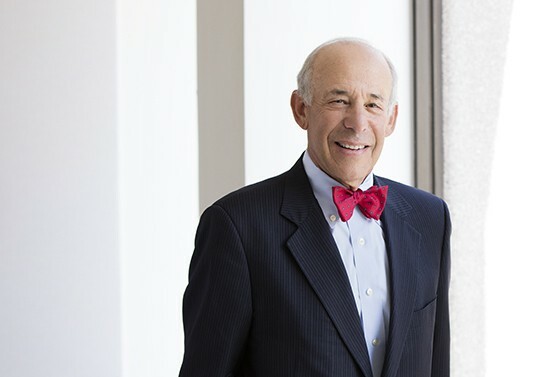 Harry L. (Hank) Gutman brings to IPB 50 years of tax experience and leadership that includes federal government Treasury and Congressional positions, full time teaching at major law schools, and law practice. As Joint Committee Chief of Staff from 1991 through 1993, Hank was the primary nonpartisan adviser to the House Ways and Means and Senate Finance Committees concerning the technical, economic and revenue aspects of tax legislation. Hank also served as deputy tax legislative counsel in the Treasury Department Office of Tax Policy. Throughout his career, Hank has counseled major multinational corporations on various implications of tax legislative change. He has represented clients in legislative matters. Of particular current relevance, he has represented clients — individually and in coalitions — before both the Treasury and the IRS in the tax guidance process. Hank also has extensive experience in estate, gift and generation-skipping taxes. While at the Treasury he was responsible for overseeing guidance and policy issues involving those taxes. He was the co-author of a wealth transfer tax casebook extensively used in law schools and was the reporter for an American Law Institute project on the generation-skipping tax. He has taught and written extensively in the area and has testified before Congress on estate tax issues. Harvard University Law School, 1968, LL.B. Princeton University, Woodrow Wilson School of Public and International Affairs, 1963, A.B. 1999 to Present: Over 1,000 presentations to corporate boards, audit committees, C-Suite executives, financial executives, Chief Tax Officers, corporate tax departments, and Tax Executives Institute (TEI) national, regional and local meetings. Topics included current international and domestic legislative activity relating to the taxation of business income, introduction to the tax legislative process, the basics of revenue estimating, the economic effects and policy implications of alternative methods of taxing business income, and the implications of international efforts to curb base erosion. 1984 to 1999: Congressional Testimony on Tax Aspects of Disclaimers (House Subcommittee on Oversight, 5/7/84), Minimum Taxes (Senate Finance Committee, 10/9/85), Generation-Skipping Transfers (House Ways & Means Committee, 10/2/84); Section 2036(c) (Senate Finance Committee, 5/17/89); Section 2036(c) (House Ways and Means Committee, 4/24/90); Section 2036(c) (Senate Finance Committee, 6/27/90); Tax Reform Proposals (Senate Budget Committee, 2/22//95); Estate and Gift Tax Reform (Senate Finance Committee, 3/19/97; Tax Simplification (House Ways and Means Oversight Subcommittee, 5/25/99).